What are PWC or Jet Skis? 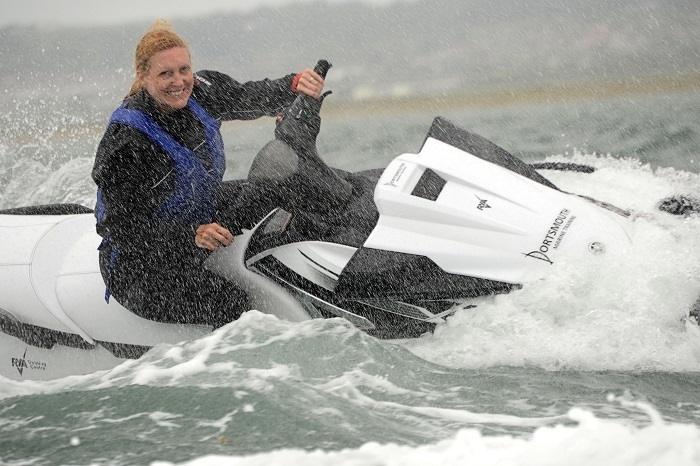 PWC (Personal Water Craft) or Jet Skis are known by many names such as Wet Bikes, Wave Bikes and Wave Runners. They are essentially the same – fun and versatile craft offering a cost effective way to get out on the water. Other benefits include being convenient to launch / recover, easy to handle, and capable of very high speeds giving an exhilarating experience. They can be seen as antisocial, but with the proper PWC training they are a great way to get out on the water. They can be single seat machines for tricks and stunts, or multi seat for some fast fun and exploration. PWC training is fast and exciting and is a brilliant way to get out on the water. 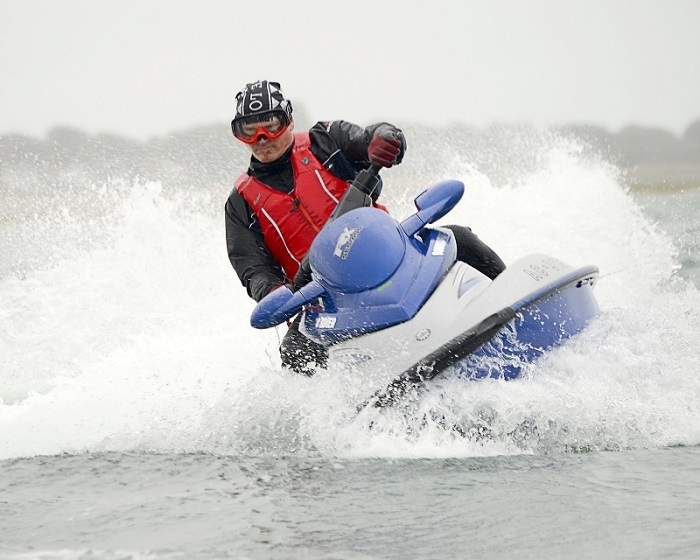 We can help you with PWC training to confidently operate PWC’s (or Jet Ski) in a safe and responsible way. 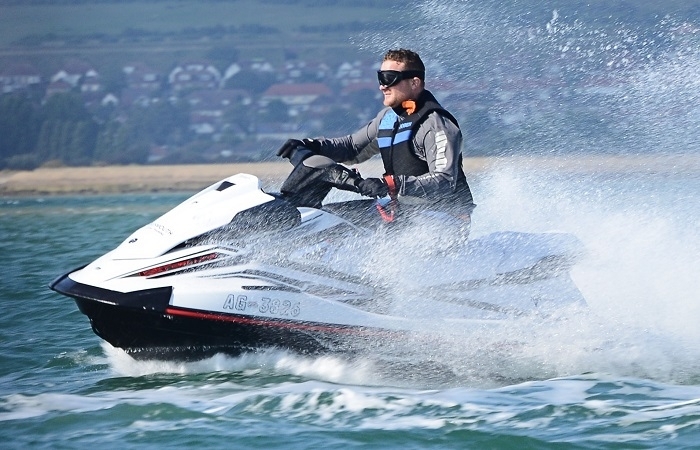 Our RYA Personal Watercraft Proficiency Course will teach beginners as well as the more experienced rider how to operate a PWC (or Jet Ski). 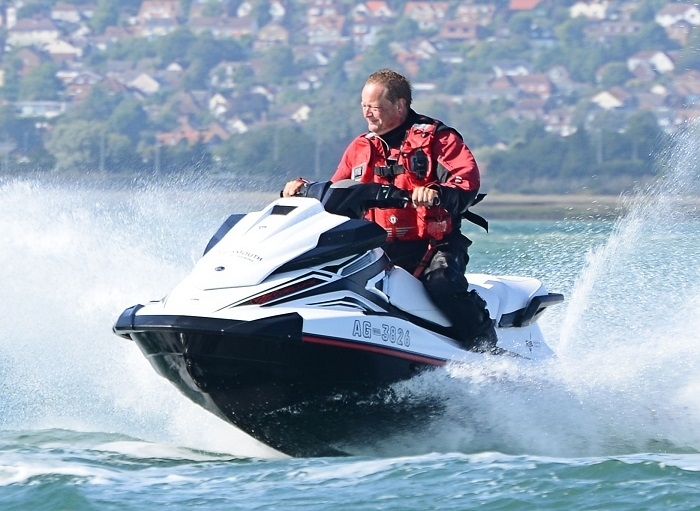 We use experienced instructors and safety boats to make sure your PWC training is always in a safe environment. 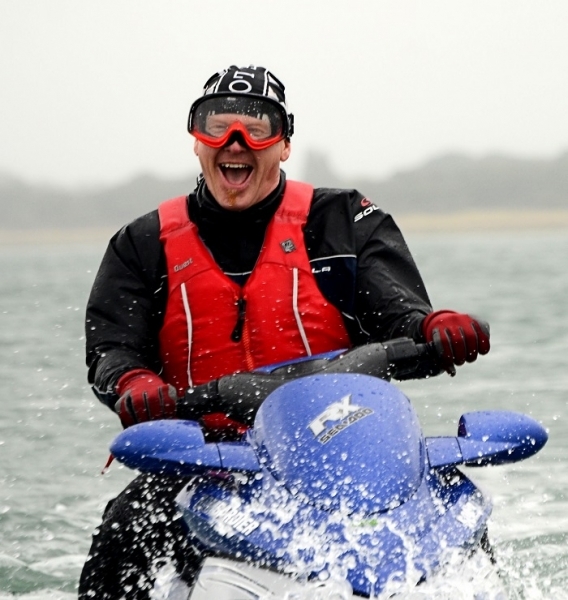 This course will enable you to hire PWC (or Jet Ski). It is also the ideal way to learn how to drive one you have purchased yourself. Increasingly this course is required for launching in many of the UK’s harbours and for hiring. If you are buying a new craft please ask the dealer for a voucher towards your training. If you would like to start teaching then our RYA PWC Instructors Course could be an ideal way for you to earn money doing something you love! We can arrange instructor PWC training anywhere in the world, which is ideal for Superyachts who offer PWC hire. 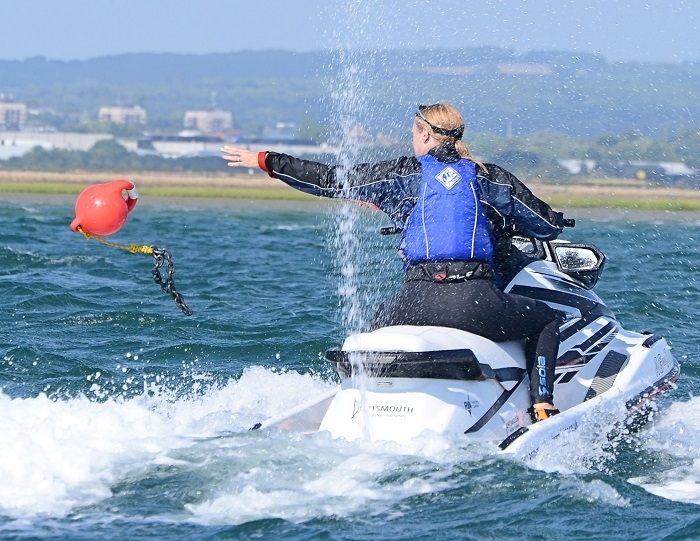 We can come to you and train your crew to teach the RYA Safety Course to enable your clients to use them safely. We run our PWC training from Langstone Harbour, Portsmouth, which offers great training in stunning surroundings. Langstone Harbour is perfect for launching and recovering and practicing manoeuvres in sheltered waters. Outside the harbour in the Solent there is no speed limit, and we have a dedicated area to practice.